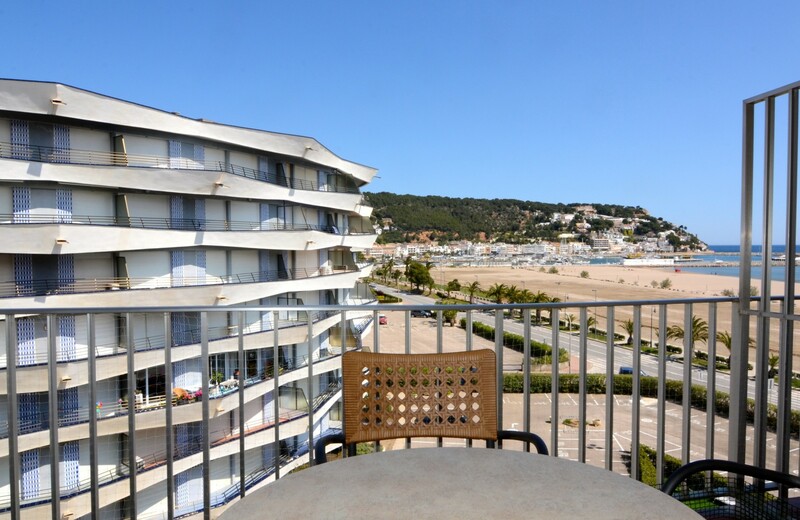 The Rocamaura is a complex of four apartment buildings situated in the centre of Estartit within a short walk of the town and beach. 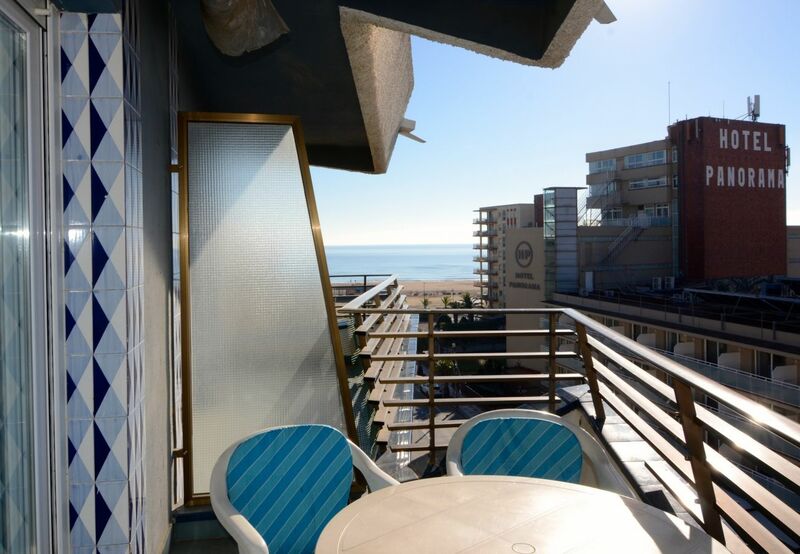 The Rocamaura I apartments are situated directly in front of the beach, above the newsagents and a first class restaurant. These apartments are approximately the same size as the apartment in Rocamaura IV. 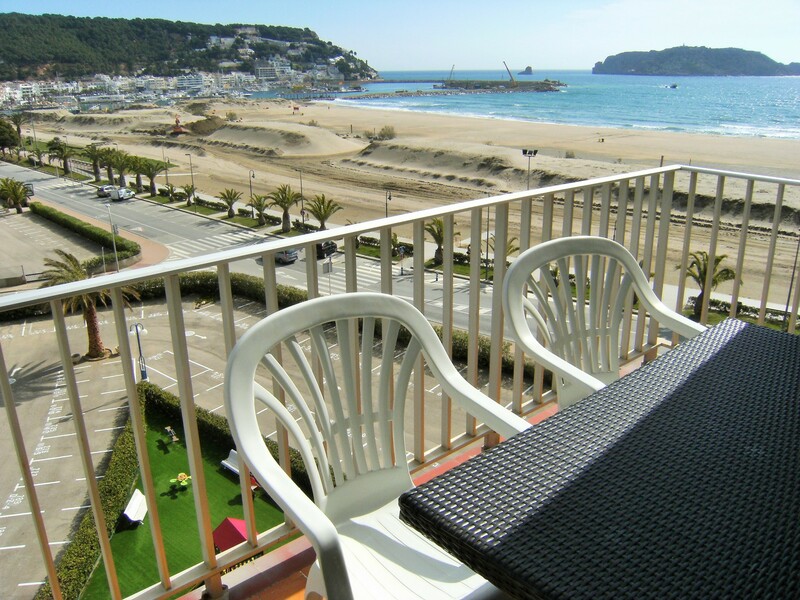 The Rocamaura II apartments are situated only a minutes walk from the beach. The Rocamaura III apartments are situated next to Rocamaura II, and face on to the swimming pool. The Rocamaura IV apartments are situated on the Av. de Grècia, which is one of the main streets leading down to the beach. These apartments have pool and street views. The apartment has a lounge with sofas, TV and dining table. Twin bedroom and a shower room. Kitchen including dishwasher and washing machine. Terrace with table and chairs and view towards the sea and the communal pool. Parking available. Wifi available (please ask for details). Just 100 metres from the beach and in the town centre. The complex has a communal swimming pool and tennis court. 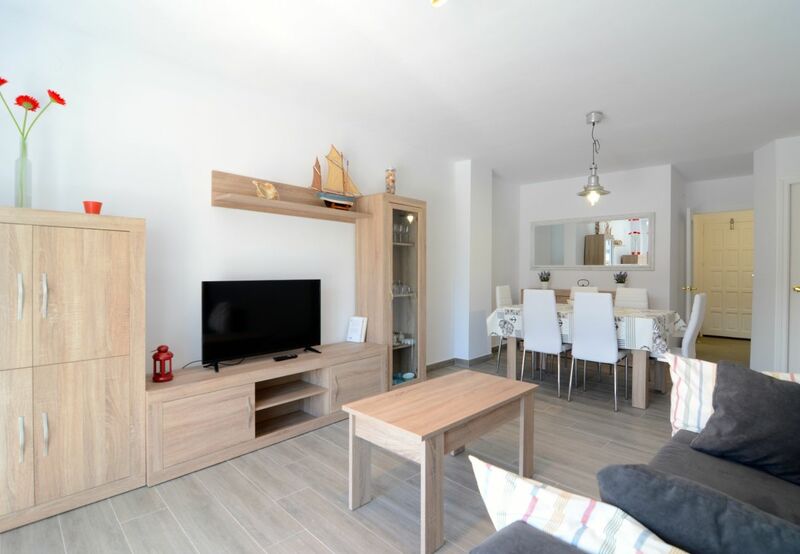 This Nicely Furnished Rocamaura Apartment is located in the resort of L'Estartit and perfect for couples with space for an extra child. The apartment has 1 bedroom with double bed and one bathroom with shower. Kitchen with microwave, fridge and a washing machine. Terrace with view towards the pool and sea. Parking available. Just 50 metres from the beach. The complex has a communal swimming pool and tennis court. 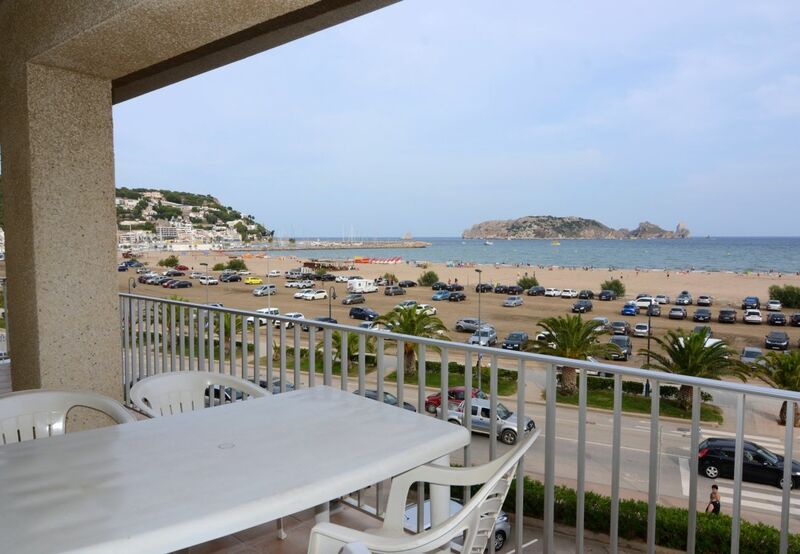 This Rocamaura Holiday Apartment has pool views and is located in the resort of L'Estartit. The apartment has 1 bedroom with bunk beds, a sofa bed and one extra bed. 1 bathroom with shower. Kitchen with cooker, microwave and fridge. Terrace with table and chairs and view towards the pool and sea. Parking available. Just 50 metres from the beach and in the town centre. The complex has a communal swimming pool and tennis court. This 5th floor apartment has 1 bedroom with double bed and single bed above, there is a sofa bed in the lounge. There is air-conditioning in the lounge. 1 bathroom with shower. Kitchen with cooker, microwave and fridge. There is a washing machine. Terrace with table and chairs and view towards the pool and sea. Parking available. Just 50 metres from the beach and in the town centre. The complex has a communal swimming pool and tennis court. This third floor apartment has 1 double bedroom and 1 bedroom with 2 single beds. 1 modern shower room. The lounge has TV and doors to the terrace with a view towards the pool and sea. It has a modern equipped kitchen including dishwasher and washing machine. Parking is available at the complex. Wifi available (please ask for details). Just 100 metres from the beach. The complex has a communal swimming pool and play area. There is a tennis court on site. This apartment has 1 double bedroom and 1 twin bedroom. 1 bathroom with shower. The double bedroom has air-conditioning. The lounge has air-conditioning, TV, sofa and doors to the terrace. It has a kitchen including dishwasher and there is a washing machine. Parking is available at the complex. Wifi is available. Just 100 metres from the beach. The complex has a communal swimming pool and play area. There is a tennis court on site. The apartment has 2 twin bedrooms. 1 bathroom. The lounge has TV and doors to the terrace with nice views of the beach and sea. It has a kitchen and there is a washing machine. Parking is available at the complex. Wifi available (please ask for details). Just a short walk from the beach. The complex has a communal swimming pool and play area. There is a tennis court on site. This fifth floor apartment has 2 twin bedrooms and 2 Bathrooms (1 with bath and 1 with shower). The lounge has TV and doors to the terrace with a lovely view of the sea. It has a kitchen including dishwasher and there is a washing machine. Parking is available at the complex. Wifi available (please ask for details). Just 50 metres from the beach. The complex has a communal swimming pool and play area. There is a tennis court on site. 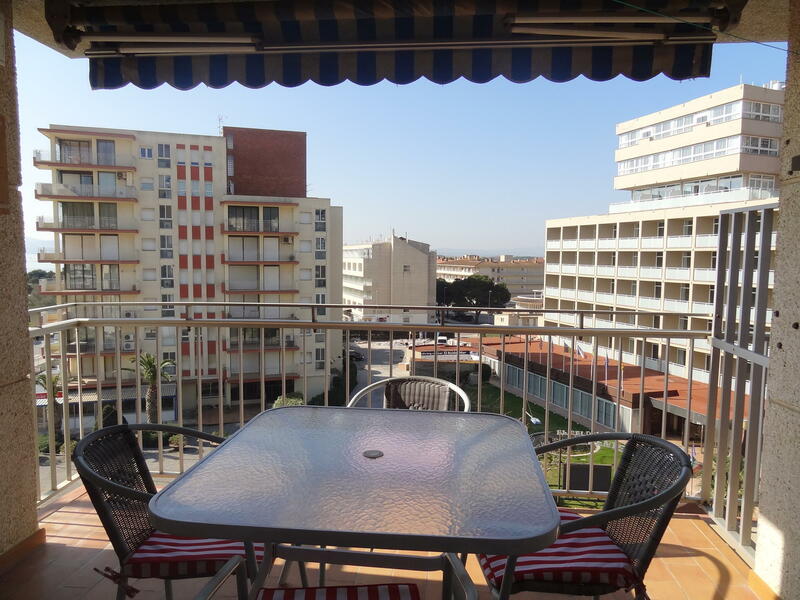 This fifth floor Rocamaura apartment has 1 double bedroom and 1 bedroom with 2 single beds. 1 modern shower room. The lounge has TV and doors to the terrace with a view towards the beach. It has a modern equipped kitchen and there is a washing machine. Parking is available at the complex. Wifi available (please ask for details). Just 50 metres from the beach. The complex has a communal swimming pool and play area. There is a tennis court on site. This first floor apartment has 2 twin bedrooms and 1 Bathroom. The lounge has TV and doors to the terrace with a view of the sea. It has a kitchen and there is a washing machine. Parking is available at the complex. Wifi available (please ask for details). Just 50 metres from the beach. The complex has a communal swimming pool and play area. There is a tennis court on site. This apartment has 2 twin bedrooms and 1 shower room. The lounge has air-conditioning, TV and doors to the terrace with a view of the sea. It has an equipped kitchen including dishwasher and the apartment has a washing machine. Parking is available at the complex. Wifi available (please ask for details). Just a short walk from the beach. The complex has a communal swimming pool and play area. There is a tennis court on site. This apartment has 1 double bedroom and 1 twin bedroom. 1 bathroom with shower. The lounge has air-conditioning, TV, sofa and doors to the terrace with beautiful views of the sea and beach. It has a fitted kitchen. Parking is available at the complex. Wifi is available. Just across the road from the beach. The complex has a communal swimming pool and play area. There is a tennis court on site. The apartment has 1 double bedroom and 1 twin bedroom. 1 bathroom with shower. The lounge has TV, air-conditioning and doors to the terrace with a view of the sea. It has a kitchen including dishwasher and there is a washing machine. Parking is available at the complex. Wifi available (please ask for details). Just a short walk from the beach. The complex has a communal swimming pool and play area. There is a tennis court on site. 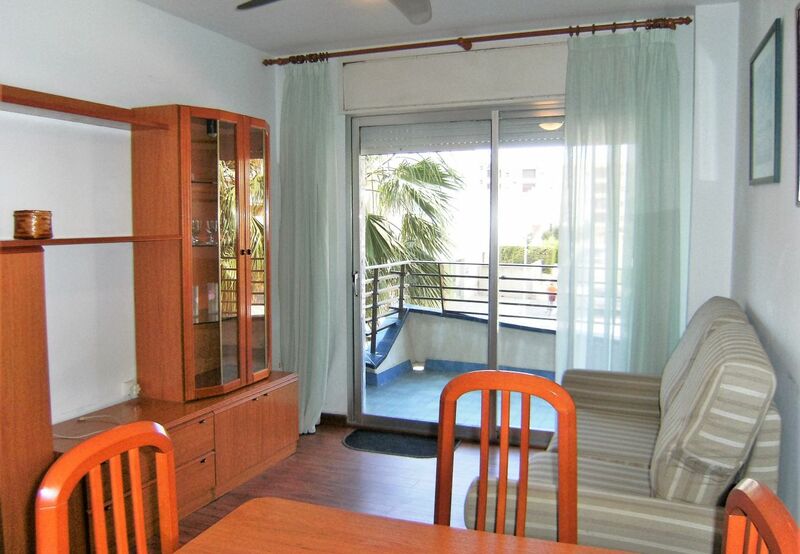 This Rocamaura apartment has 2 twin bedrooms and 1 bathroom. The living room has a TV and patio doors leading to the terrace with views over the sea. It has a kitchen with cooker, fridge/freezer, washing machine and microwave. Just 50 metres from the beach and in the town centre. The complex has a communal swimming pool and tennis court. There is a parking space available. 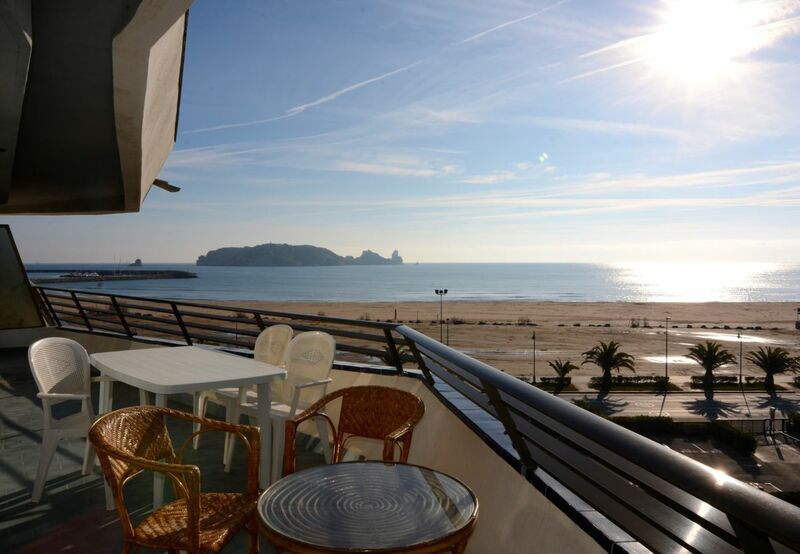 This Rocamaura Apartment in Estartit has 2 bedrooms, air-conditioning and sea views. 2 bedrooms (1 double and 1 twin) and sofa bed in the lounge. It has a balcony with side views to the sea. The apartment has been refurbished and is equipped with air conditioning (warm and cold), TV, washing machine and microwave. This apartment has 1 double bedroom and bedroom with single bed and slide out bed and sofa bed in the lounge. 1 bathroom. The lounge has TV and doors to the terrace. It has a kitchen and there is a washing machine. Parking is available at the complex. Wifi available (please ask for details). Just a short walk from the beach. The complex has a communal swimming pool and play area. There is a tennis court on site. This apartment has 1 double bedroom and 1 twin bedroom and an extra fold out bed. 1 modern bathroom with shower. The lounge has TV and doors to the terrace with a view of the pool and the sea. It has a modernised kitchen including dishwasher and there is a washing machine. Parking is available at the complex. Wifi available (please ask for details). Just a short walk from the beach. The complex has a communal swimming pool, play area and tennis court on site. This fifth floor apartment has 1 double bedroom, 1 single bed and 1 fold out bed, 1 sofa bed. 1 Bathroom. The lounge has TV and doors to the terrace with a view of the sea. It has a kitchen and there is a washing machine. Parking is available at the complex. Wifi available (please ask for details). Just 50 metres from the beach. The complex has a communal swimming pool and play area. There is a tennis court on site. This sixth floor apartment has 2 double bedrooms and 1 sofa bed. 1 Bathroom with shower. The lounge has air-conditioning, TV and doors to the terrace with a view of the sea. It has a kitchen and there is a washing machine. Parking is available at the complex. Wifi available (please ask for details). Just 50 metres from the beach. The complex has a communal swimming pool and play area. There is a tennis court on site. 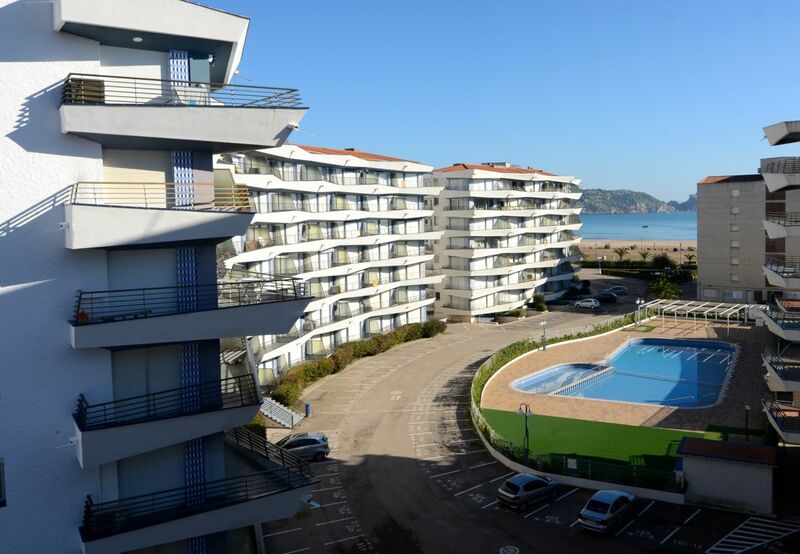 This is 2 Bedroom Apartment With Sea and Pool Views at the Rocamaura complex in L'Estartit town centre. 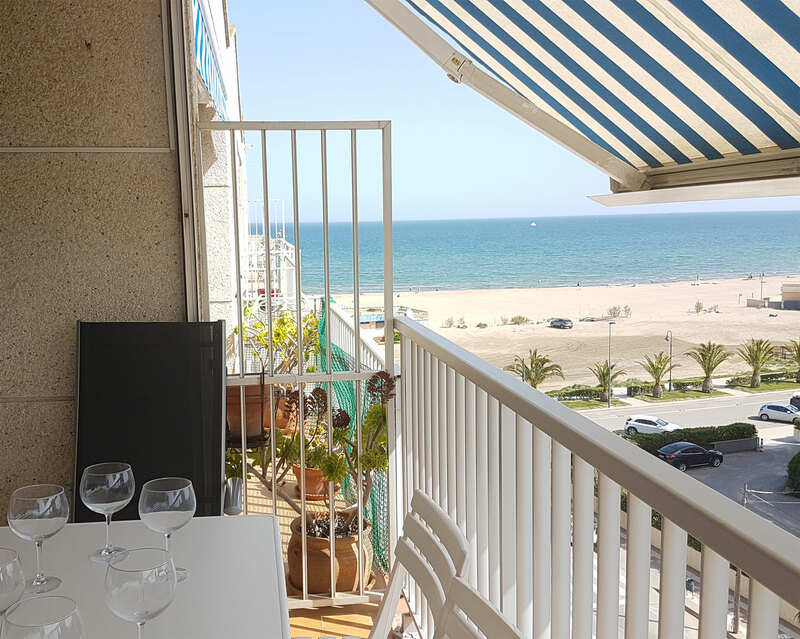 The apartment has 2 bedrooms (1 double and 1 twin), equipped kitchen with dishwasher and washing machine, bathroom, living room with TV, terrace overlooking the sea and the communal swimming pool. Parking place available and the complex has tennis courts. This apartment has 1 double bedroom, 1 twin bedroom and 1 bathroom with shower. The lounge has TV, sofa bed and doors to the terrace. It has a kitchen including dishwasher and there is a washing machine. Parking is available at the complex. Wifi available (please ask for details). Just 100 metres from the beach. The complex has a communal swimming pool and play area. There is a tennis court on site. The apartment has two bedrooms (1 double and 1 bedroom with bunk beds). 1 bathroom. Kitchen with oven, hob, microwave and fridge. There is a washing machine. 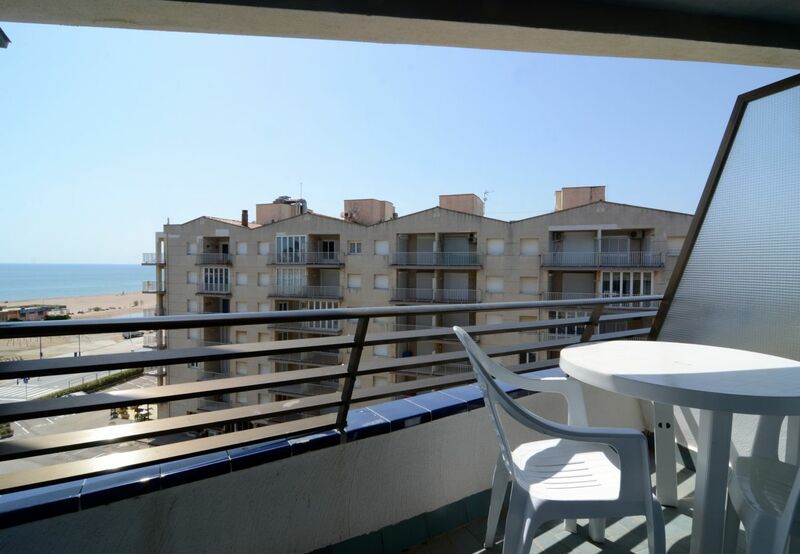 Terrace with table and chairs, The apartment has a pool and sea view. Parking space available. Wifi available (please ask for details). Just 150 metres from the beach and 150 metres from the town centre. The complex has a communal swimming pool and tennis court. This second floor apartment has 2 double bedrooms, 1 sofa bed and 1 fold out bed. 1 Bathroom with shower. The lounge has TV and doors to the terrace with a lovely view of the sea. It has a kitchen and there is a washing machine. Parking is available at the complex. Wifi available (please ask for details). Just 50 metres from the beach. The complex has a communal swimming pool and play area. There is a tennis court on site. This apartment has 2 double bedrooms. 1 modernised bathroom with shower. The lounge has TV, double sofa bed and doors to the terrace with lovely views of the sea and beach. It has a modernised kitchen and dining area including dishwasher and there is a washing machine. Parking is available at the complex. Wifi is possible (please ask for details). Just 50 metres from the beach. The complex has a communal swimming pool, tennis and play area. This apartment has 2 bedrooms (1 double and 1 twin) and one bathroom with shower. The lounge has TV and sofa bed and a dining area. Terrace with table and chairs and view of the sea. Kitchen with cooker, microwave and fridge. There is a washing machine. Parking is available in the complex. Wifi available (please ask for details). Just 50 metres from the beach and in the town centre. The complex has a communal swimming pool, tennis and play area. This first floor apartment has 1 double bedroom, 1 twin bedroom and 1 sofa bed. There are 2 bathrooms each with shower. The lounge has air-conditioning, satellite TV and doors to the terrace with a view of the sea. It has a kitchen and there is a washing machine. Parking is available at the complex. Wifi available (please ask for details). Just 50 metres from the beach. The complex has a communal swimming pool and play area. There is a tennis court on site. This first floor apartment has 1 double bedroom and 1 bedroom with bunk beds. Bathroom with shower. The lounge has TV. Terrace with a view of the sea. Kitchen with cooker, microwave and fridge. There is a washing machine. Parking is available in the complex. Wifi available (please ask for details). Just 50 metres from the beach and in the town centre. The complex has a communal swimming pool and play area. Apartment with 2 double rooms, open kitchen with oven, full bathroom, large living room - dining room and a terrace with sea views . Astra Satellite TV Community pool, parking, tennis courts and children's play area. 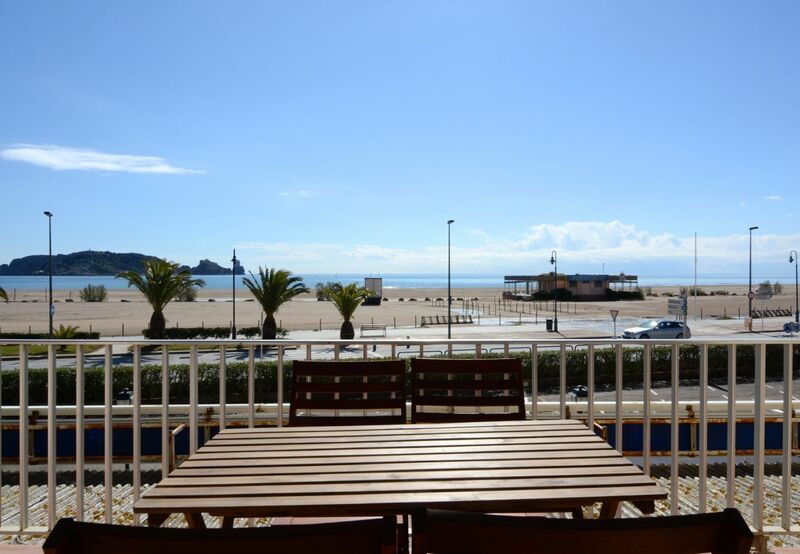 Located on the seafront in the centre of L'Estartit. The Rocamaura holiday complex have a large communal swimming pool and on-site parking. 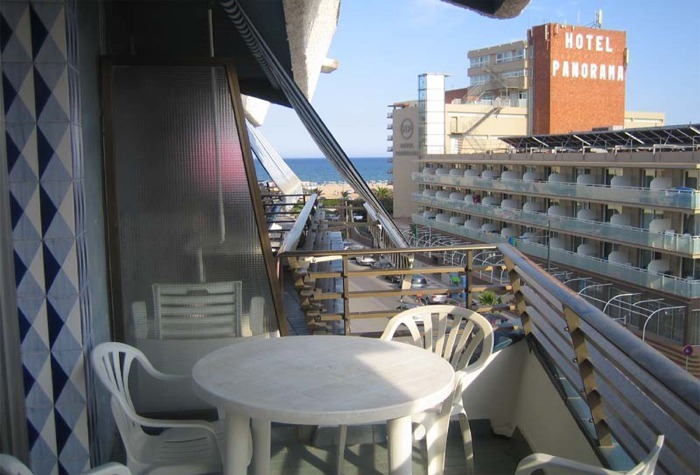 The apartment comprises two bedrooms (1 double & 1 twin), bathroom, lounge with sofa bed, TV and balcony with side views to the sea. There is a kitchen with cooker, microwave and fridge. 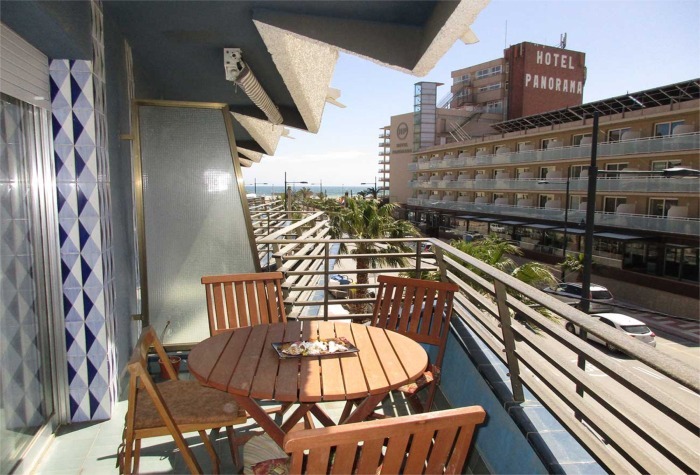 The apartment complex is close to the shops, supermarket, restaurants, bars and internet cafe. The apartment has two bedrooms (1 double and 1 with bunk beds) and a shower room. Kitchen with oven, hob, dishwasher and fridge. There is a washing machine. Lounge with sofa bed, cable TV (with TNT french) and air-conditioning. Terrace with table and chairs and view towards the sea. Parking available. Wifi available (please ask for details). Just 150 metres from the beach. The complex has a communal swimming pool and tennis court. The apartment has 2 twin bedrooms. 1 bathroom with shower. The lounge has TV and doors to the terrace. It has a kitchen and there is a washing machine. Parking is available at the complex. Wifi available (please ask for details). Just a short walk from the beach. The complex has a communal swimming pool and play area. There is a tennis court on site. 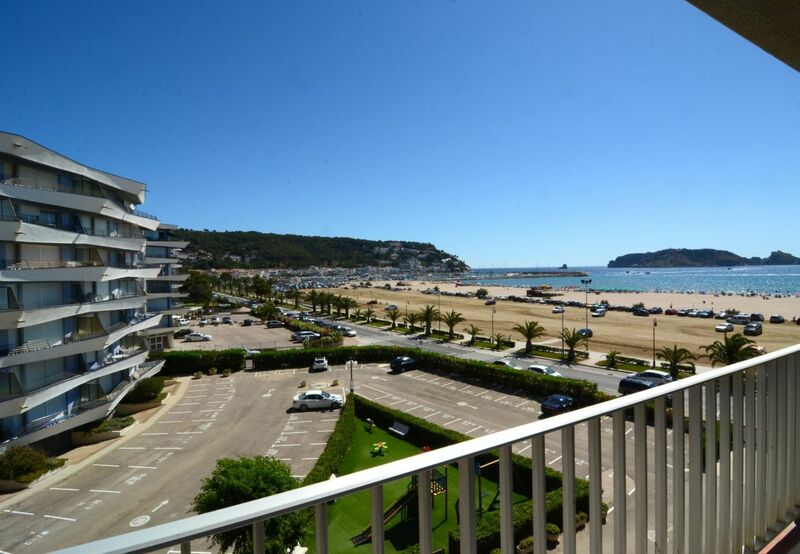 This 2 Bedroom Rocamaura Apartment in Estartit has air-conditioning and sea views. 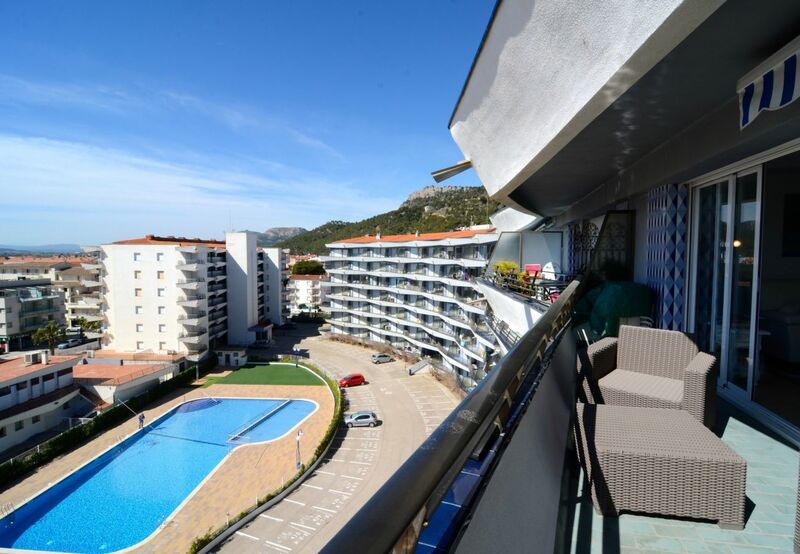 This apartment has 2 bedrooms, bathroom, lounge, kitchen and terrace with sea and mountain views The apartment also has air-conditioning and there is private parking at the complex. This first floor apartment has 1 double bedroom and 1 twin bedroom. Bathroom with shower. The lounge has TV and sofa bed. Terrace with a view of the sea. It has a kitchen and there is a washing machine. Parking is available at the complex. Wifi available (please ask for details). Just 50 metres from the beach. The complex has a communal swimming pool and play area. There is a tennis court on site. 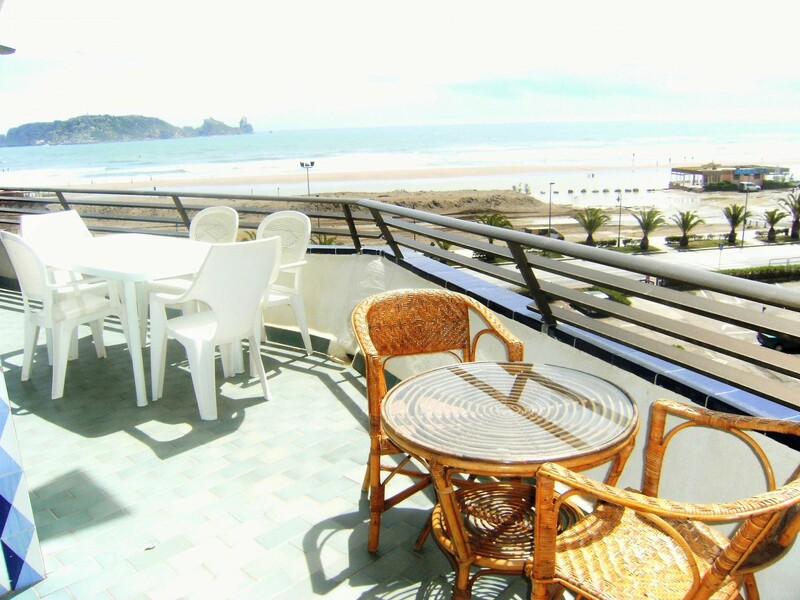 Rocamaura Apartment Rental with 2 bedrooms and sea view. The apartment has 2 bedrooms, bathroom, lounge with sofa bed, kitchen and terrace. There is parking available at the complex. The apartment has 2 bedrooms (1 with double bed and 1 with 3 single beds). Open plan kitchen including washing machine. The lounge has Astra satellite TV. Bathroom with shower. 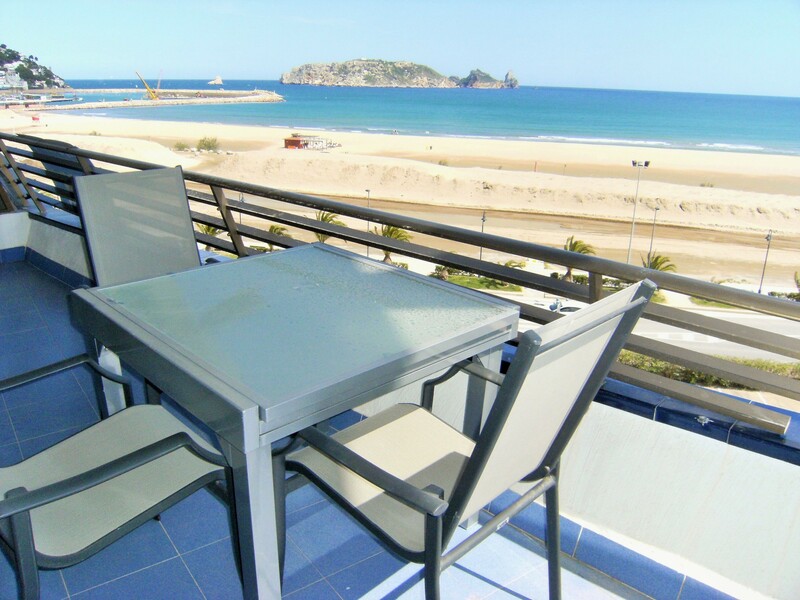 Big terrace with nice view to the beach, the sea and the Medes islands. The apartment has two bedrooms and one shower room. Kitchen with oven, hob, microwave and fridge. There is a washing machine. Terrace with table and chairs and view towards the sea. Parking available. Wifi available (please ask for details). Just 150 metres from the beach and in the town centre. The complex has a communal swimming pool and tennis court. The apartment has 2 twin bedrooms and one bathroom with shower. The lounge has TV and sofa bed and a dining area. Terrace with table and chairs and view of the sea and swimming pool. Kitchen with cooker, microwave and fridge. There is a washing machine. Parking is available in the complex. Wifi available (please ask for details). Just 50 metres from the beach and in the town centre. The complex has a communal swimming pool and play area. 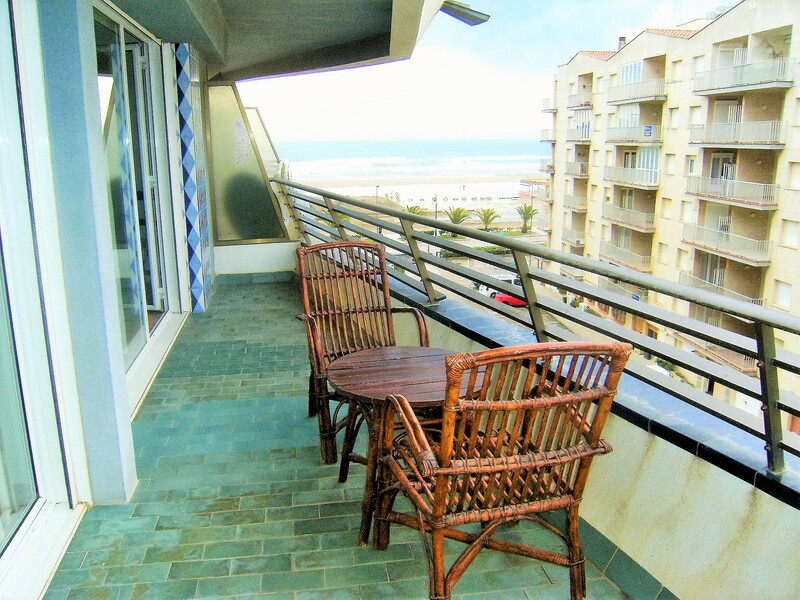 This vacation apartment is located in a frontline location with lovely sea views. The apartment has 2 bedrooms (1 with double bed and 1 with twin beds). Open plan kitchen including washing machine. The lounge has Astra satellite TV. Bathroom. 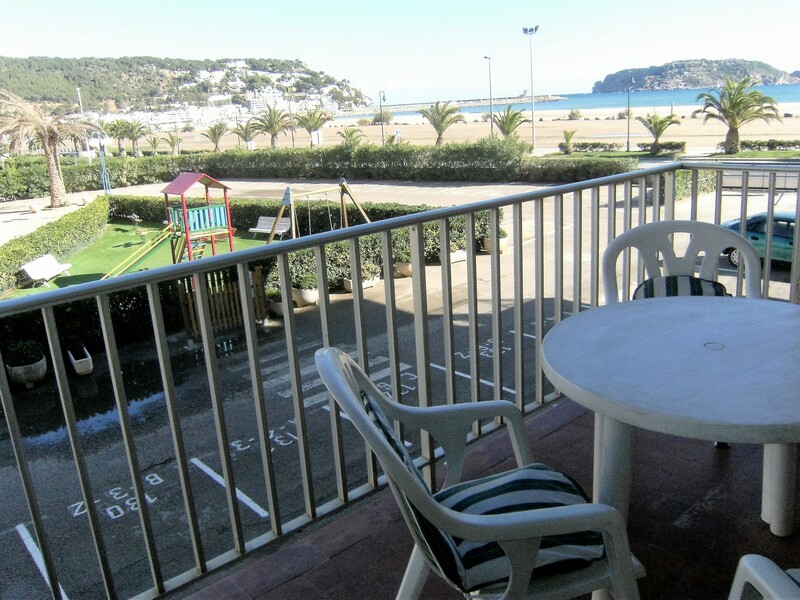 Big terrace with nice view to the beach, the sea and the Medes islands. 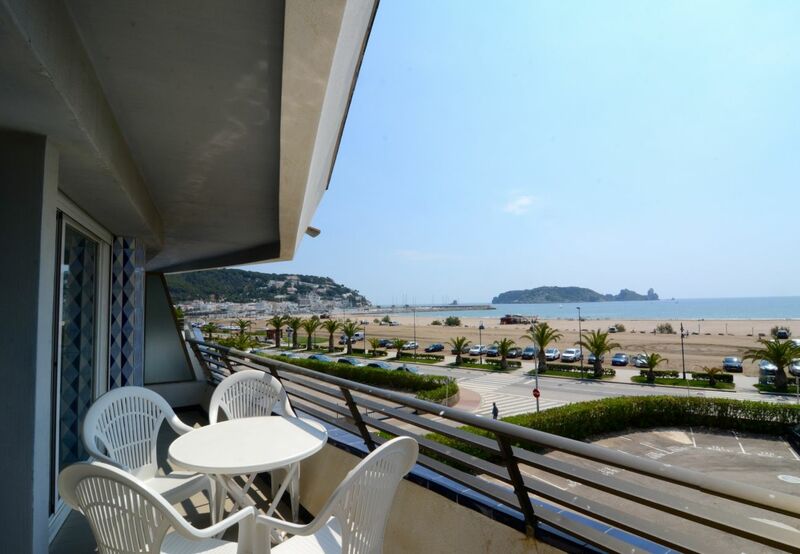 2 Bedroom Holiday Apartment at the Rocamaura complex in L'Estartit Town. The apartment has 1 triple bedroom and 1 double bedroom + 1 folding bed. Large living / dining room with air conditioning, fully equipped kitchen with dishwasher and microwave. Bathroom, Balcony. Parking Space. Communal swimming pool and tennis courts. 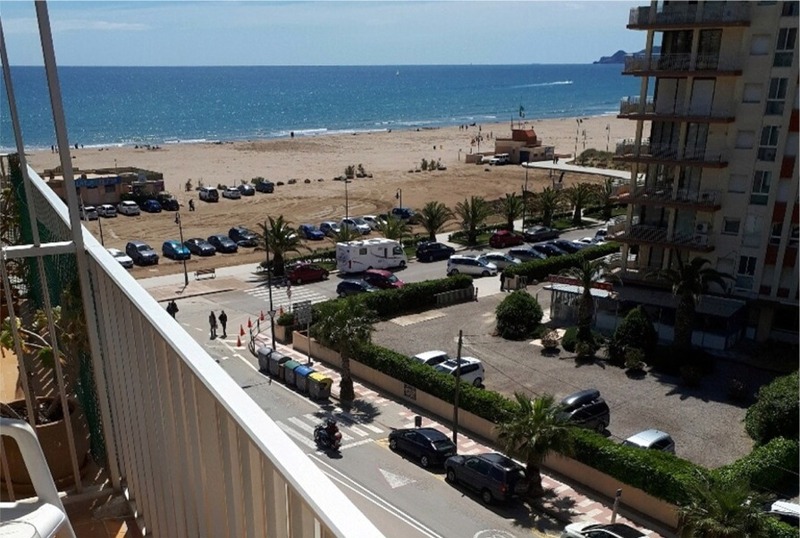 Sea View Apartment Rental in Rocamaura located in the beach resort of L'Estartit. This apartment has 2 bedrooms, bathroom, lounge with air-conditioning and satellite TV. Equipped kitchen with microwave and washing machine. The apartment has sea views from the balcony. 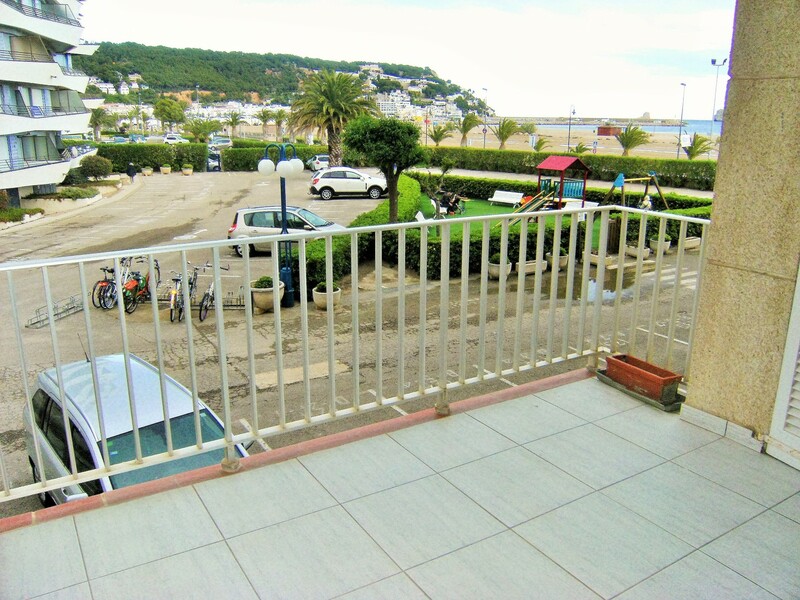 Frontline Apartment Rental in the Rocamaura Complex located in the centre of L'Estartit. The apartment has 2 bedrooms, bathroom, lounge, kitchen with microwave and washing machine. There is parking available at the complex. The apartment has sea views from the balcony. 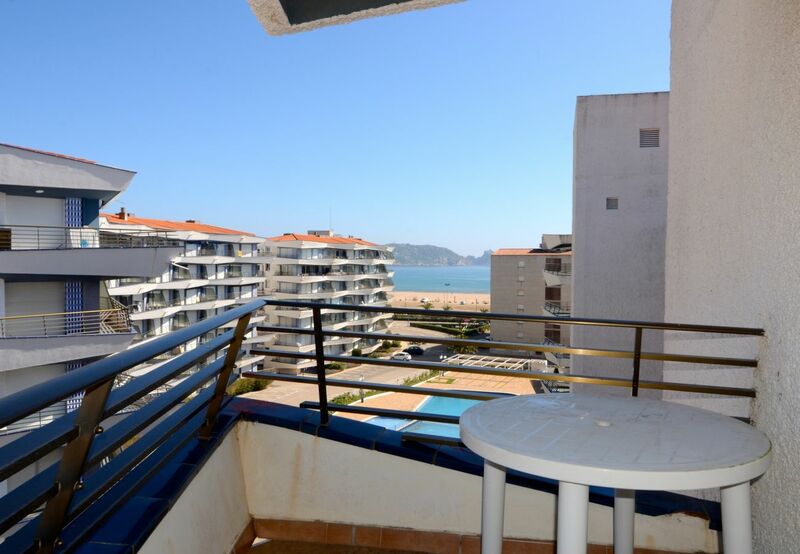 Apartment Rental in the Rocamaura Complex located in L'Estartit. 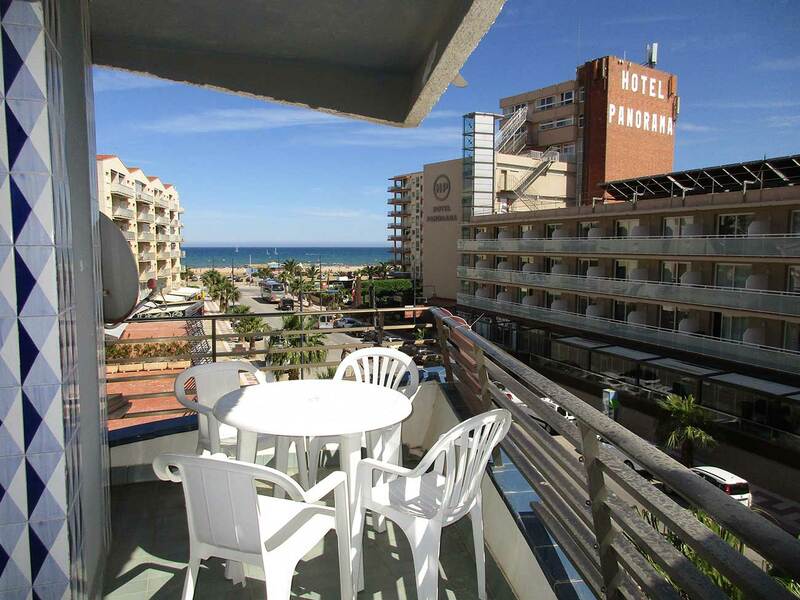 This apartment has 2 bedrooms, bathroom, lounge with satellite TV and terrace with views to the swimming pool and sea. Equipped kitchen with microwave and washing machine. There is parking available at the complex. 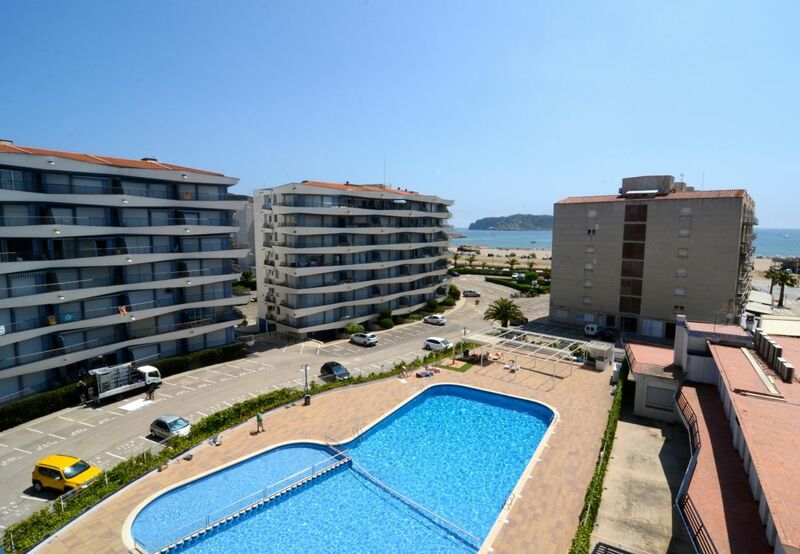 This 2 Bedroom Apartment in Estartit is located at the Rocamaura Complex, has air-conditioning and sea views. 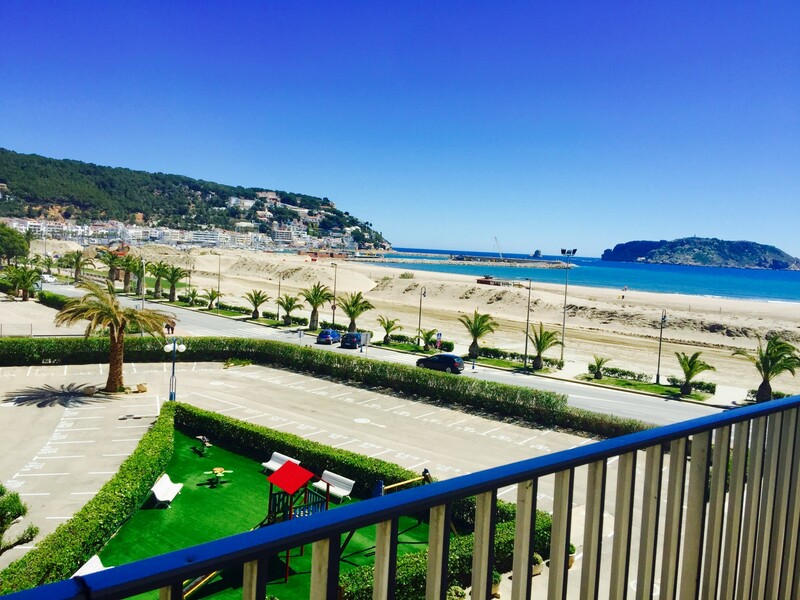 This apartment has 2 twin bedrooms, modern bathroom with shower, lounge with TV, kitchen with dishwasher and washing machine and terrace with sea view. The apartment also has air-conditioning and there is private at the complex. 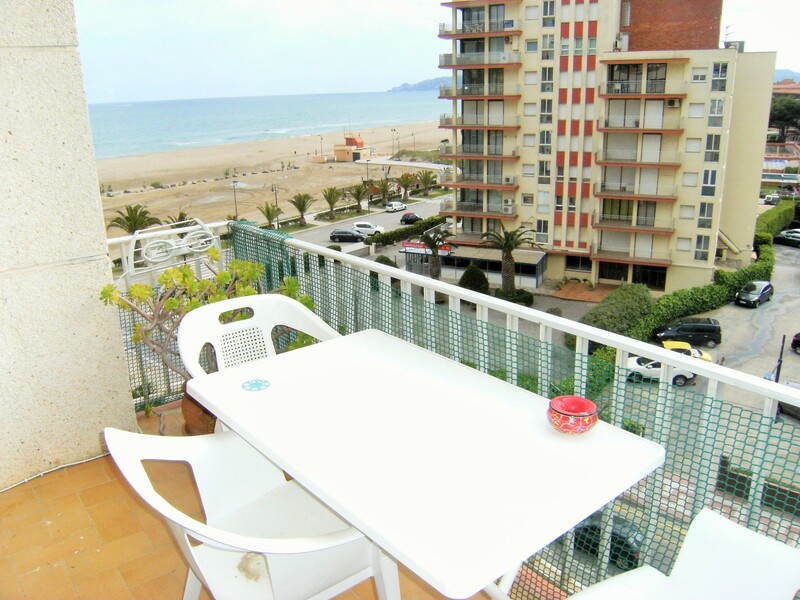 This Rocamaura apartment is located just 100m from the beach. 2 bedrooms, bathroom with shower, lounge with air-conditioning and TV, kitchen and terrace with view down towards the sea. There is parking available at the complex. The apartment complex has a communal swimming pool and tennis courts. 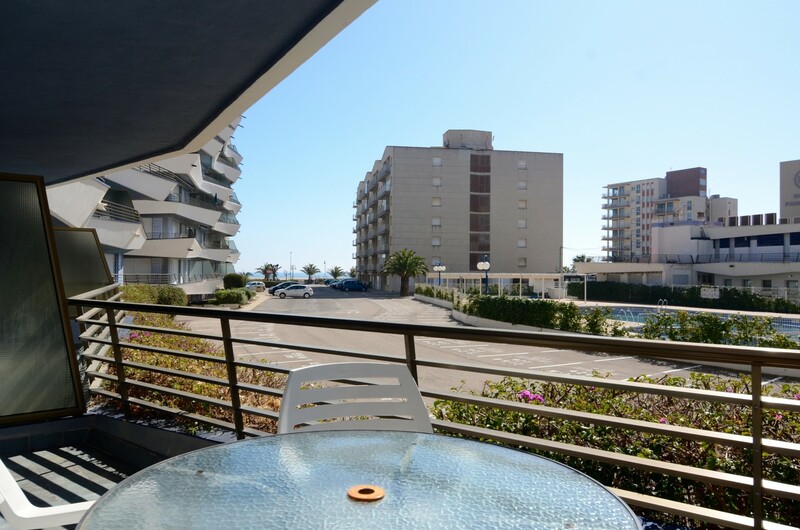 The apartments are in a great location for the beach, marina and the town centre, which are all within a short walk. The apartment has been renovated and has two bedrooms and a sofa bed in the lounge. Air-conditioning in the lounge. Cable TV (Astra & TNT French). Renovated kitchen with oven, hob, microwave. Bathrooms with shower. Washing machine. Large terrace with table and chairs. Just 50 metres from the beach and in the town centre. The complex has a communal swimming pool and tennis court. This apartment has 1 double bedroom and 2 further bedrooms each with a single bed. 2 bathrooms both with a shower. The double bedroom has air-conditioning. The lounge has air-conditioning, TV, sofa and doors to the terrace. It has an open plan kitchen and dining area. There is a washing machine. Parking is available at the complex. Wifi is available. Just 100 metres from the beach. The complex has a communal swimming pool and play area. There is a tennis court on site. The apartment has two double bedrooms, 1 twin bedroom and a sofa bed. 1 bathroom. Kitchen with oven, hob, microwave and fridge. There is a washing machine. Terrace with table and chairs and view towards the sea and Medes Isles. Parking available. Just 50 metres from the beach and 150 metres from the town centre. The complex has a communal swimming pool and tennis court. 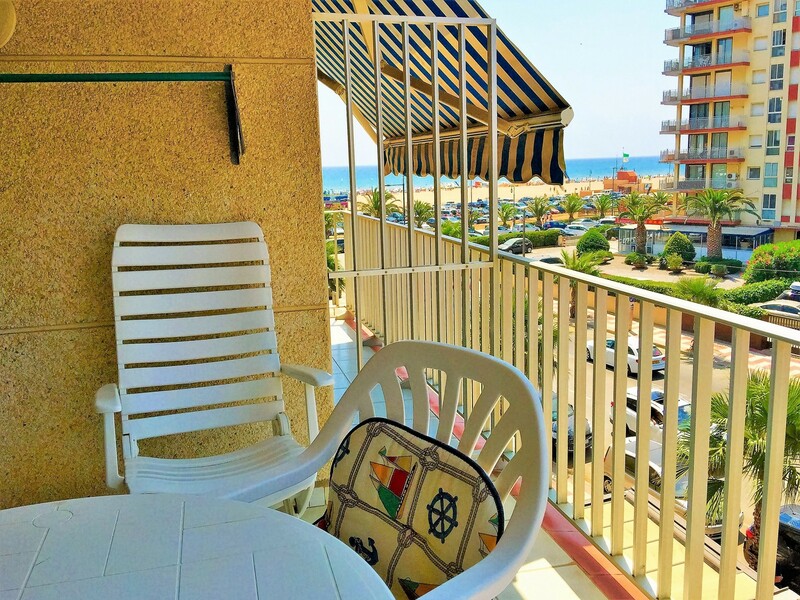 3 bedroom Rocamaura holiday apartment. Totally renovated and furnished it is a corner apartment with air conditioning and parking. The lounge is comfortably furnished and it has a well equipped kitchen including dishwasher and washing machine. Located less than 50 metres from the beach it has side sea views and overlooks the pool. The apartment has two double bedrooms and 1 bedroom with bunk beds. 2 bathrooms with showers. Kitchen with oven, hob, microwave, fridge and dishwasher. There is a washing machine. The lounge has TV and air-conditioning with doors to the terrace with table and chairs and view towards the sea and Medes Isles. Parking available. Wifi available. Just 50 metres from the beach and 300 metres from the town centre. Communal swimming pool and tennis court. 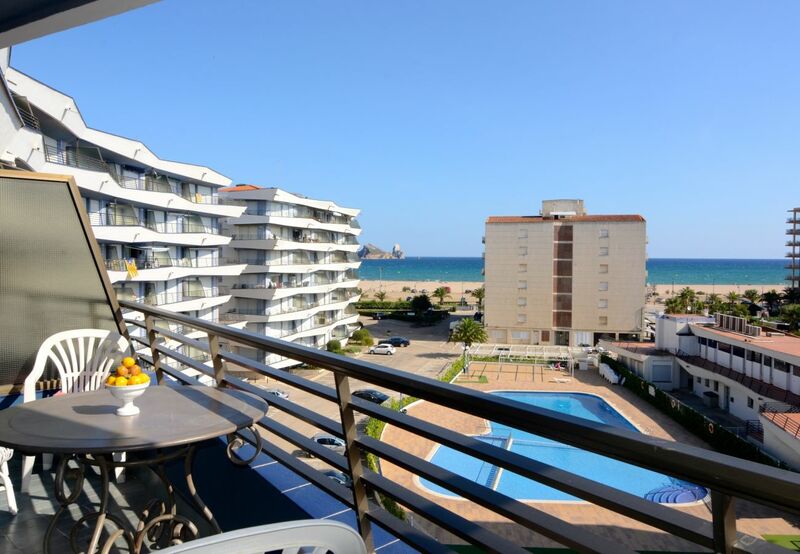 This 3 Bedroom Rocamaura Apartment is a great choice for family holidays in L'Estartit. This apartment has 2 bedrooms with 2 beds in each bedroom + 1 bedroom next to the living room with sliding door with a double sofa-bed. Living/dining room, open plan kitchen with dishwasher, Washing machine, air-conditioning and TV. 1 bathroom and 1 WC with shower inside one of the bedrooms. A very large terrace. This third floor apartment has 1 double bedroom, 1 bedroom with 2 sets of bunk beds and 1 sofa bed. 1 Bathroom. The lounge has TV and doors to the terrace with a side view towards the beach. It has a kitchen with dishwasher and there is a washing machine. Parking is available at the complex. Wifi available (please ask for details). Just 50 metres from the beach. The complex has a communal swimming pool and play area. There is a tennis court on site. This apartment has 2 bedrooms, with twin beds. 1 bathroom with shower. The lounge has air-conditioning, TV, double sofa bed and doors to the furnished terrace with electric awning and side view towards the beach and sea. It has a kitchen with dishwasher and there is a washing machine. A parking space is available at the complex. Wifi available (2 persons). The complex has a communal swimming pool and play area. There is a tennis court on site. 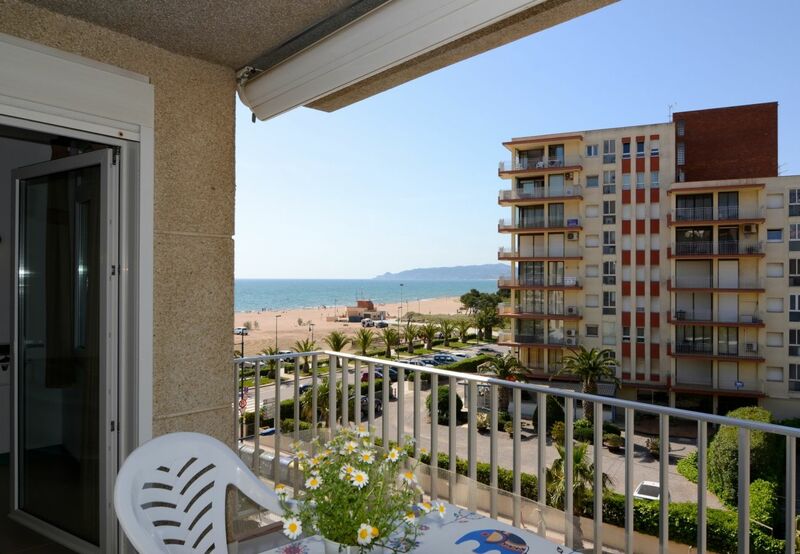 This Rocamaura apartment is just 100 metres from the beach and has 2 double bedrooms and 1 bedroom with bunk beds. 1 bathroom. The kitchen is well equipped including dishwasher and washing machine. The lounge has TV, sofa bed dining area and doors to the furnished terrace which has a view of the sea. Parking is available at extra cost (please ask for details). The Rocamaura holiday complex have a large communal swimming pool and on-site parking. 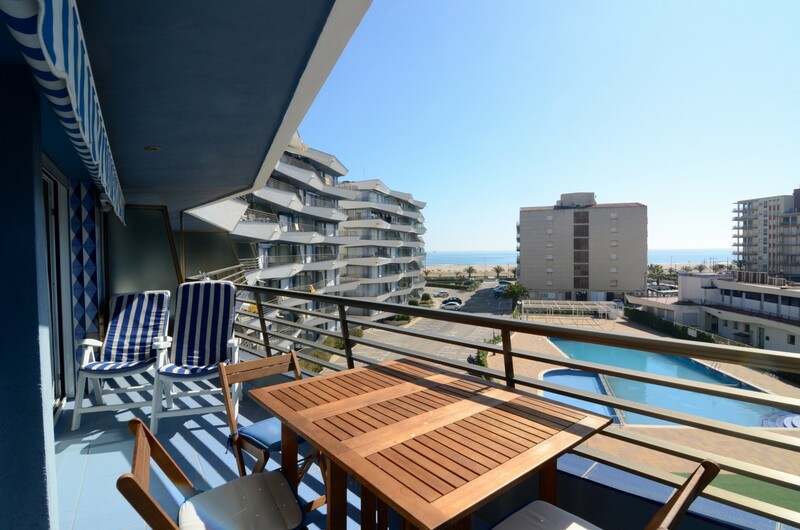 The apartment comprises three bedrooms (1 double & 2 twin), bathroom, lounge with sofa bed, TV and balcony with side views to the sea. There is a kitchen with cooker, microwave and fridge. 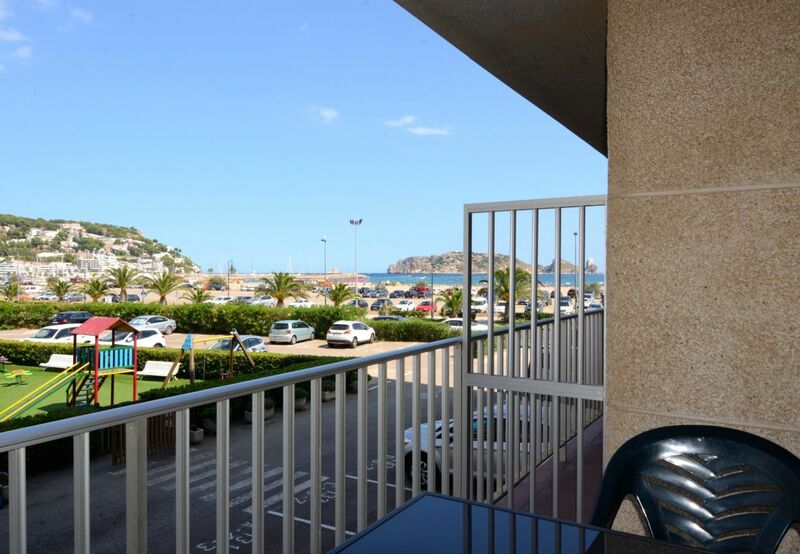 The apartment complex is close to the shops, supermarket, restaurants, bars and internet cafe. 3 bedrooms and 1 bathroom. 2 double bedroom and 1 twin bedroom. There is a sofa bed in the living room with patio doors leading to the terrace with lovely views overlooking the sea. It has a kitchen with cooker, fridge/freezer and microwave. 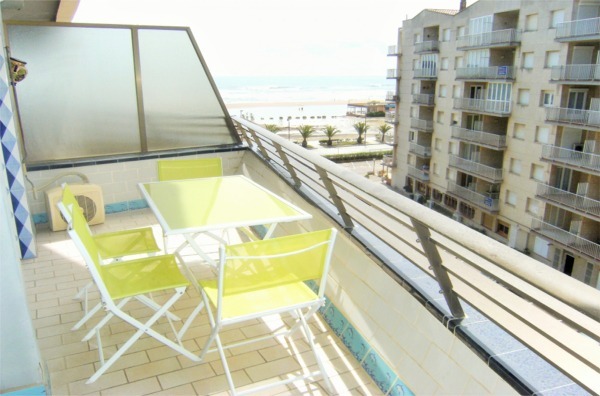 Located 50 metres from the beach. The complex has a communal swimming pool and tennis court. There is a parking space available. 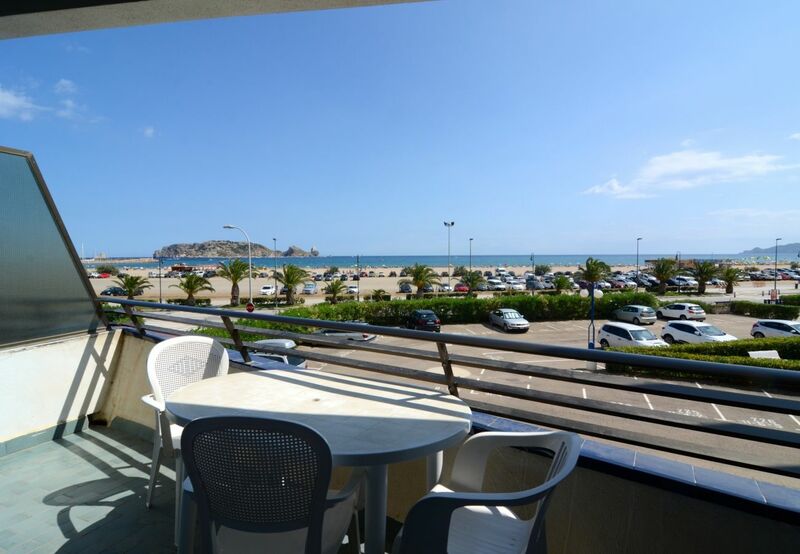 This 4 bedroom Rocamaura Holiday Apartment is situated just 25 metres from the beach in Estartit. The town and marina are located a pleasant walk along the promenade. The apartment has been modernised and offers 4 bedrooms, 1 bathroom, fitted kitchen, lounge with sofabeds, TV and doors to the terrace. 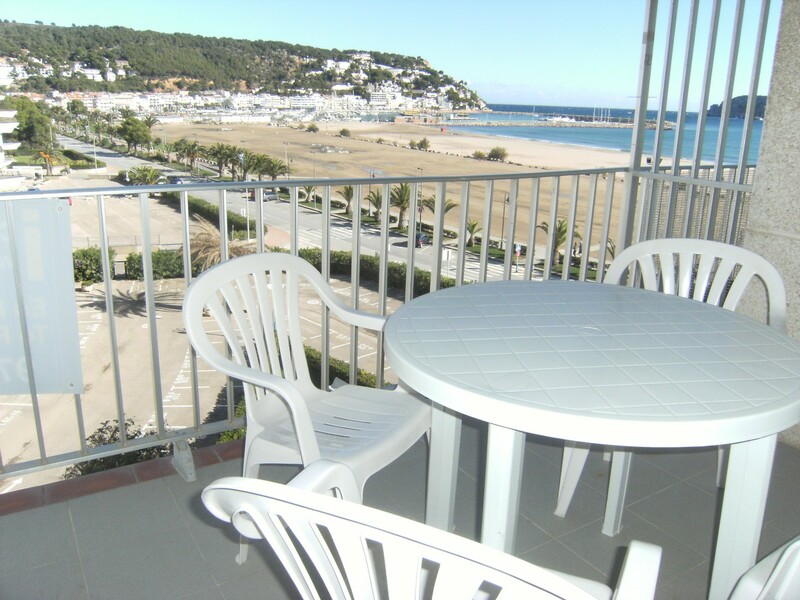 The apartment has use of a communal swimming pool, has a parking space and is located a very short walk from the beach.